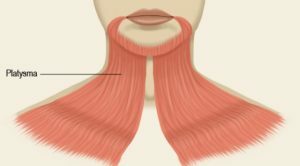 This muscle covers a portion of a neck muscle known as the sternocleidomastoid. The platysma muscle is expansive in size, with a broad width that spans the collarbone, or clavicle, and the side of the neck. Its point of origination is the upper portions of the pectoral, or chest, and the deltoid, or shoulder. upper parts of pectoralis and deltoid fasciae . fiber run upwards and medially . The platysma is supplied by cervical branch of the facial nerve. 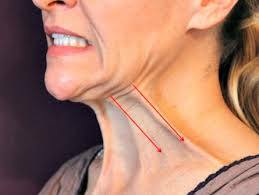 releases pressure of skin on the subjacent veins depresses mandible , pulls the angle of the mouth downword as in horror or surprise . In Bell’s palsy platysma muscle commonly paralysis . Tagged platysma muscle details. Bookmark the permalink.